Most Americans support Barack Obama’s policy of better ties with Havana, a new poll shows, as the president is expected to announce Cuba’s removal from the terror sponsor list at the historic summit in Panama. The president “strongly suggested” earlier this week he was “inclined to remove the designation,” reported the New York Times. He needs a recommendation from the State Department to do so, and that review is in “its final stages,” deputy national security adviser Ben Rhodes said. WH says Pres Obama awaiting recommendation from the State Dept on removing Cuba from the US list of State Sponsors of Terrorism. A new poll by MSNBC, Telemundo and the Marist College Institute for Public Opinion, released Wednesday, shows that 59 percent of Americans and 56 percent of Latinos approve of the administration’s efforts to re-establish ties with Cuba. The change of policy was opposed by 26 percent of Americans and 25 percent of Latinos polled. "Do you approve or disapprove of the recent decision to provide diplomatic recognition of Cuba by the United States?" Cuba has been on the US list of state sponsors of terrorism since 1982, and the designation was most recently reaffirmed in 2013. In December 2014, however, Obama announced the end to the five-decade policy of blockading the island country. “It made no sense that the United States consistently essentially made the decision to isolate ourselves from the rest of the Americas because we were clinging to a policy that wasn’t working,” Rhodes said. In order to have Cuba removed from the terrorism list, Obama would have to report to Congress that Cuba had not supported international terrorism in the previous six months. Congress would have 45 days to block the decision by passing a joint resolution, or do nothing and accept the certification. This means the president might make an announcement at the summit, but the actual removal of Cuba from the list would not happen until May. Cuban officials have been frustrated by the slow pace of change in US policies. Earlier this week, Trade and Foreign Investment Minister Rodrigo Malmierca called the US measures “a step in the right direction,” but said they did not go far enough in lifting the decades-long embargo. “The measures Obama ordered are incomplete and insufficient, and do not change the essence” of unilateral US measures against Cuba, Malmierca told the state newspaper Granma. 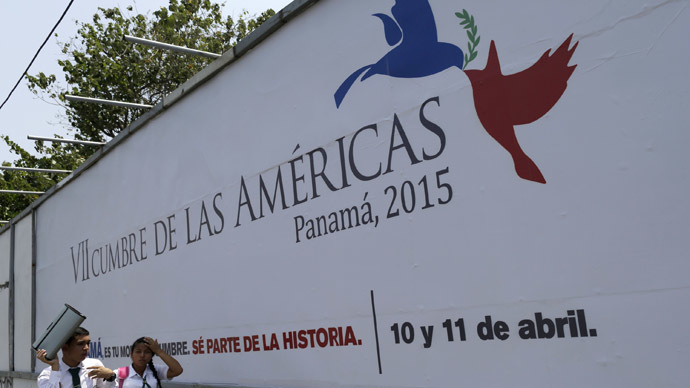 Friday’s Summit of the Americas in Panama City will be the first time Cuba participated in the US-led regional meeting. Cuban President Raul Castro is expected to meet with Obama for the first time since their informal handshake at the 2013 funeral of former South African leader Nelson Mandela.